Mix the shredded cabbage with half the lime juice and oil in a medium bowl. Stir in the fresh coriander and 1/2 teaspoon of the cumin and half the salt. Stir to combine and set aside. Mix the avocado with the remaining lime juice and salt in a small bowl. Mash coursely with a fork. Cover and set aside. Heat the rest of the oil in a medium non-stick frying pan over a medium heat. Add the onion and cook for 4-5 minutes until soft. Stir in the chickpeas, remaining cumin and salt along with the ground coriander. Cook for 3-4 minutes until the chickpeas are heated through. 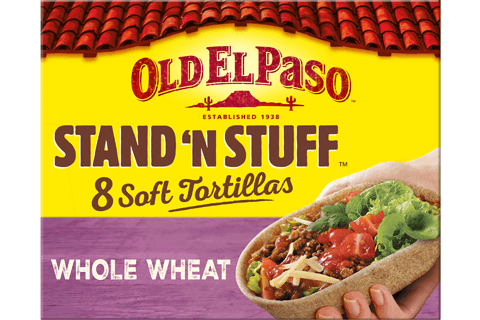 Heat the tacos as directed on the packaging. 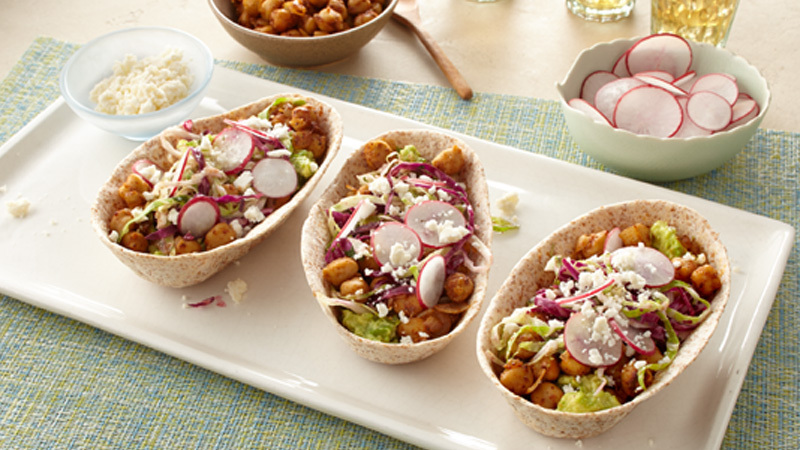 Divide the mashed avocado between the tacos and top with the cabbage, chickpeas, radishes and feta cheese. For a less crunchy cabbage mixture leave covered for about 30 minutes. The lime juice and oil will soften the cabbage the longer you leave it. Feta cheese has a great tangy flavour and crumbly texture which goes well in this recipe but you can use Parmesan shavings or crumbled goats’ cheese instead, if liked.